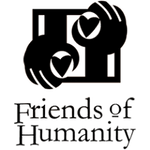 Eli and Edy Broad and the Broad Foundation have generously donated $5,000 to Friends of Humanity, joining us as a Benefactor for Change. Mr. Broad is the only person to found two Fortune 500 companies in different industries. He is also the author of two books, The Art of Being Unreasonable and The Art of Being Unreasonable: Lessons in Unconventional Thinking. He and his wife, Edythe, have been married for 57 years and have supported charitable causes since the 1960s. In more recent years, they have devoted all their time to charitable works through the Broad Foundation. We are deeply grateful for their support of our life-changing work in northwest Haiti.